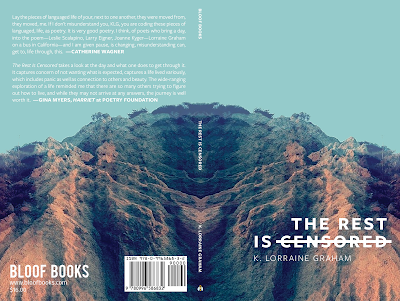 A second edition of The Rest Is Censored by K. Lorraine Graham is forthcoming from Bloof Books. This book was very briefly released by another press last year, but our new edition has been totally redesigned and corrected, and we are treating it as a new release to ensure it receives the readership it deserves. NOTE: Free shipping applies to orders to US/CANADA only. If you place an international order, expect an email from us requesting first class shipping cost, which is $5-6 US, based on your location. "The wide-ranging exploration of a life reminded me that there are so many others (perhaps all poets?) who are trying to figure out how to live, and while they may not arrive at any answers, the journey is well worth it. "The Rest Is Censored reminds me of Fanny Howe’s essay 'Bewilderment,' where she offers one possible definition of the lyric: '[I]t is a method of searching for something that can't be found. It is an air that blows and buoys and settles. It says, "Not this, not this," instead of, "I have it."' Howe describes serial poems as spirals, and writes of the spiral-walker, '[T]here is no plain path, no up and down, no inside or outside. But there are strange returns and recognitions and never a conclusion.' 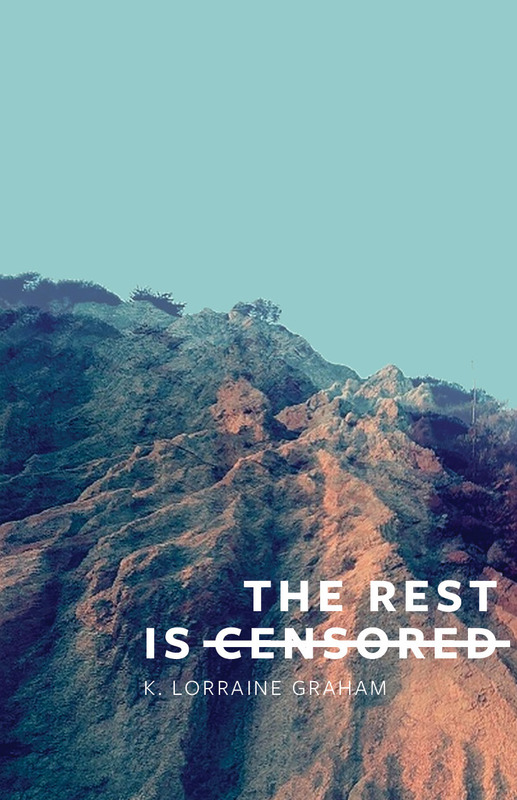 Poetry makes sense to me for this reason: it is willing to raise questions and be happy to not arrive at answers." 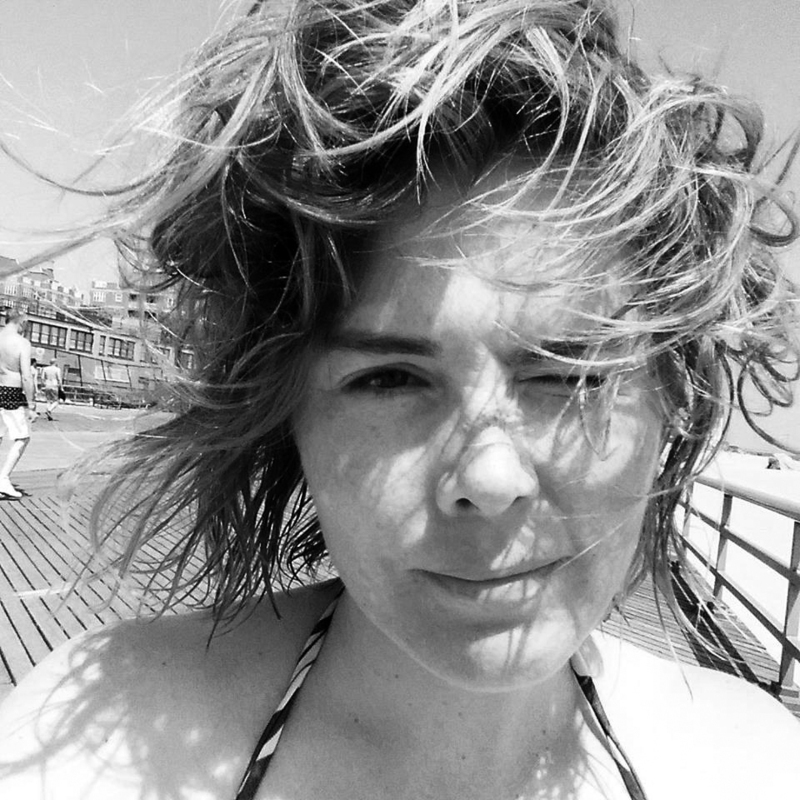 K. Lorraine Graham is the author of Terminal Humming (Edge Books, 2009), My Little Neoliberal Pony (Insert Blanc, 2013), and The Rest Is Censored (Bloof Books, 2017). She lives in Washington, DC.